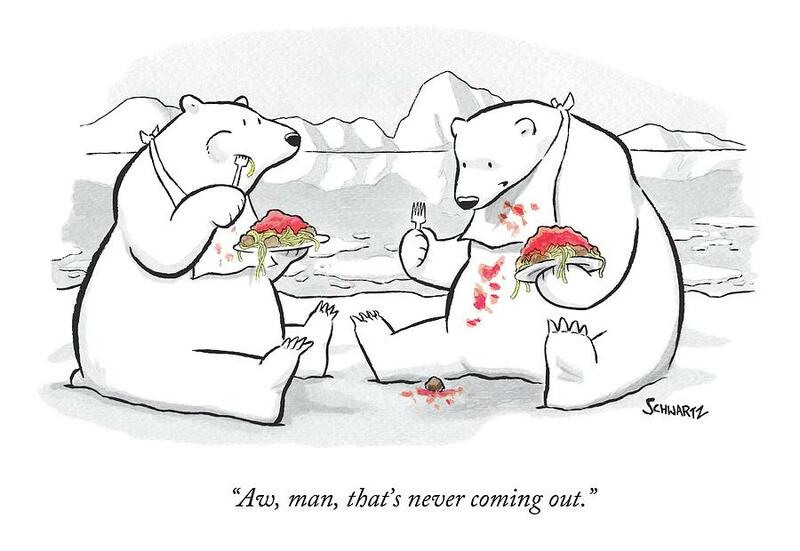 Caption: "Aw, man, that's never coming out." 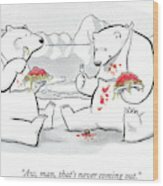 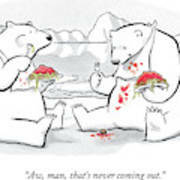 Description: Two polar bears eat spaghetti and meatballs. 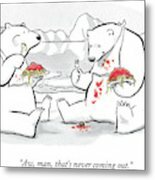 One bear spills food on his stomach.